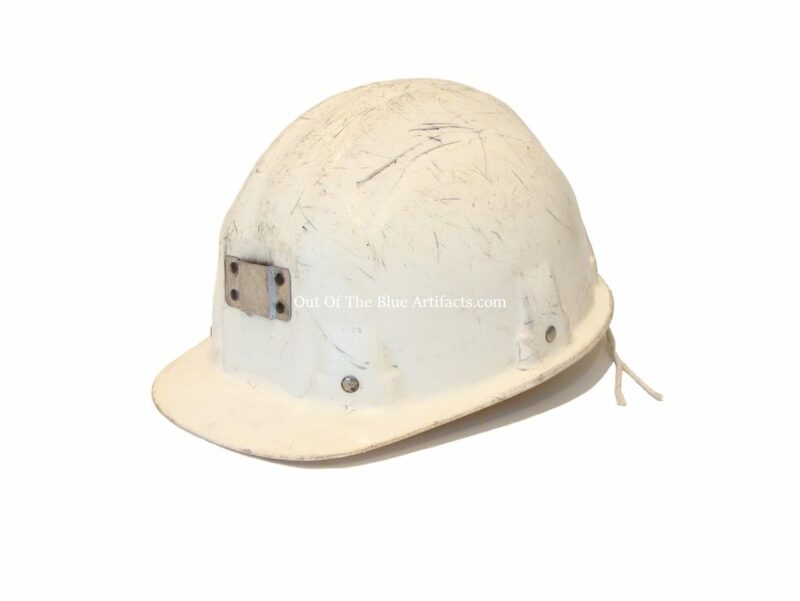 A White Plastic UK Miners Helmet N.C.B. 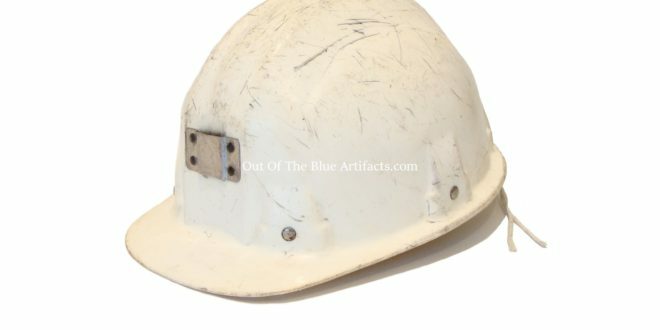 A White Plastic UK Miners Helmet N.C.B. 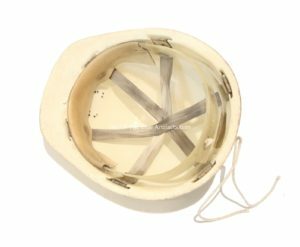 issue, early type without the moulded hoops for a chin strap. Used throughout the 1970s. 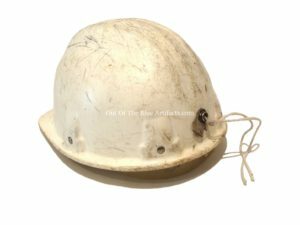 This image (as seen right) shows that the cap lamp cable holder clip missing, the vinyl strap that clipped the cable to the helmet very often broke from over-use and it was replaced by a bit of string. Shotfiring wire was sometimes used but banned as of safety reasons as the wire could poke someone in the eye while on the cage or in other similar cramped conditions.